Is your well-worn playbook in need of a refresh? What worked best for B2B marketers last year may not help you optimize a moment with a customer or prospect today. All too often, baked in processes get in the way of delighting customers. If you’re a B2B marketer who wants to be a game changer, you have come to the right place. 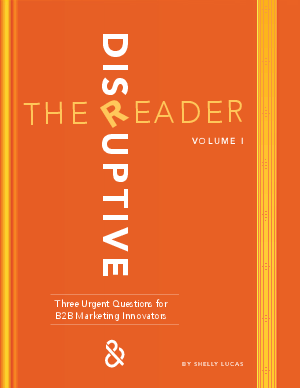 This reader is for marketers who crave to poke and pull apart the “tried and true”. - When was the last time you made a truly bold move in your marketing? - Do you have any idea how bad your data problem really is? -How long will you continue to create sales content nobody uses? We answer these questions and more- download the free guide today!